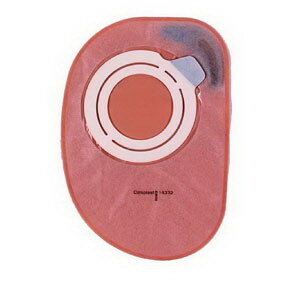 Assura AC Easiflex 2-Piece Closed Pouch 3/8" - 3-1/2"
The adhesive coupling has been designed to improve the quality of life for people with a colostomy. Its unique, low-profile, two-piece design is available as a closed pouching system. Contains a unique security channel, preventing flange curl-up and leakage. Easy to apply and remove. Simply grip the barrier with two fingers and pull the pouch down. With Assura® AC it is very easy to clean the barrier when changing pouches. There are no edges, and the barrier can be quickly wiped clean with water. Large blue tape for easy removal. Security channel design prevents leakage. No absorptive properties in the coupling and no discoloration or odor.